Use Podio as a data source – How can we help you today? To create a data source using Podio, go to the New Data Source page in Klipfolio and select the Web Accessible Resource option. On your Podio home page, under Activity Stream, select a project. 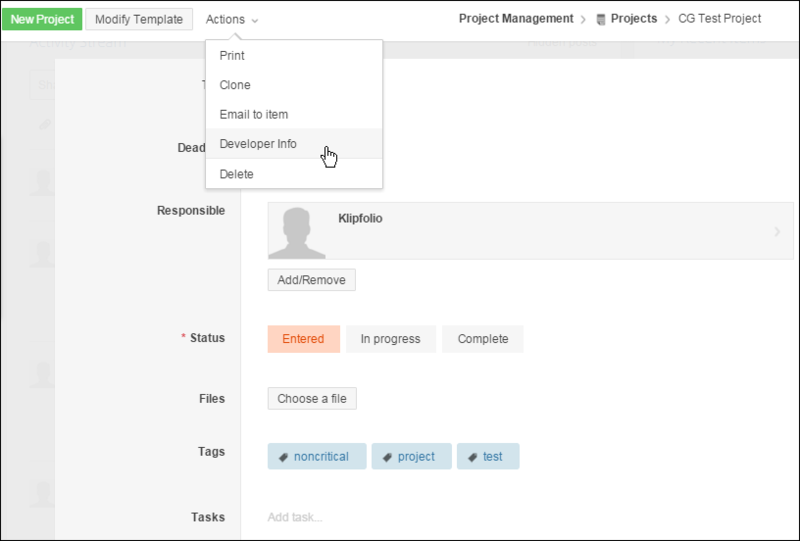 In the project, select Actions. 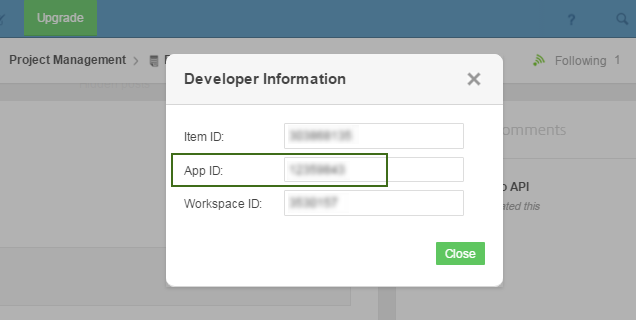 In the Developer Information popup, copy the App ID number and save it to your clipboard. Refer to the Podio API docs to learn more about crafting a query. Click Authentication (OAuth, 2-Step, or Basic). Select Podio from the list of OAuth service providers. Now that you know how to craft a Podio query, use the Podio API documentation to create your own.